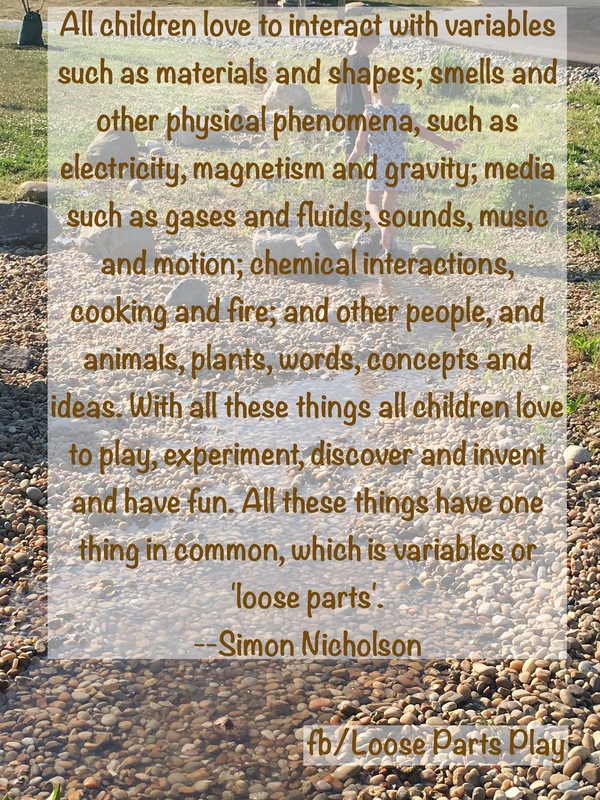 As part of looking more at Nicholson's Theory of Loose Parts, we have been exploring other aspects of it, such as light, music, and even magnetism. We all like to "play, experiment, discover, invent and have fun"! There are many, many ways to explore magnetism. Some of our favorite ways are magnetic blocks, such as Tegu Blocks or Magformers. We also really liked those smaller magnet rods with metal balls--we started buying some like this before we had kids. These were our toys! We also have just gotten a large variety of magnets for exploration. We have a "magnet" bin, with lots of options. It's made of metal so especially fun. Our front door is also magnetic, so we do plenty with magnetism there. I still remember my then 3 year old figuring out there was metal in the corners of the walls at the hospital when we'd been there a few too many times to visit my husband. I didn't know about the metal forms to keep good corners either! Yet he found them with our Magformers. We also like nuts, bolts, and other magnetic (and non magnetic) metal pieces paired with magnets. We get all the metal by the pound at our local ReStore and add in good magnets, including a variety of strengths. Magnetic fun is a quick way we explore on the go. 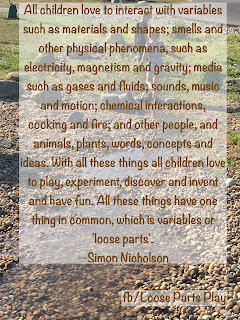 How do you explore magnetism and loose parts? What are the variables? This weekend, we explored magnetism as we worked on "geeky gifts" for the men in my extended family, though I think many of the women and children would like this as well. Of course, slime has been all the rage around here and I thought it would be neat to explore magnetic slime. 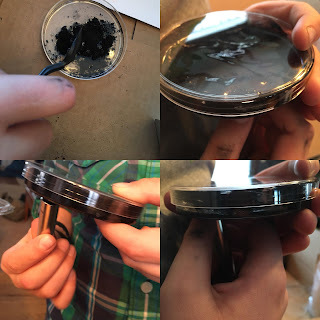 We also have really enjoyed ferrofluid when we have been to museums--it's iron filings in an oil controlled by very strong magnets. I have raved about the show, The New Creatives--one episode is on an artist who goes back for an engineering degree. He combines his interests to make a type of ferrofluid that is also responsive to movement. How cool is that?!? It really inspired us. While we may not have the large scale options that he has, we can explore this stuff on a smaller home level. We also simply put iron fillings in water in a glass jar (we used small spice jars, 1 teaspoon or more of iron filings in the jar, fill with water, put e6000 along the inside of the lid threads, and seal). I think my husband enjoyed this the most! 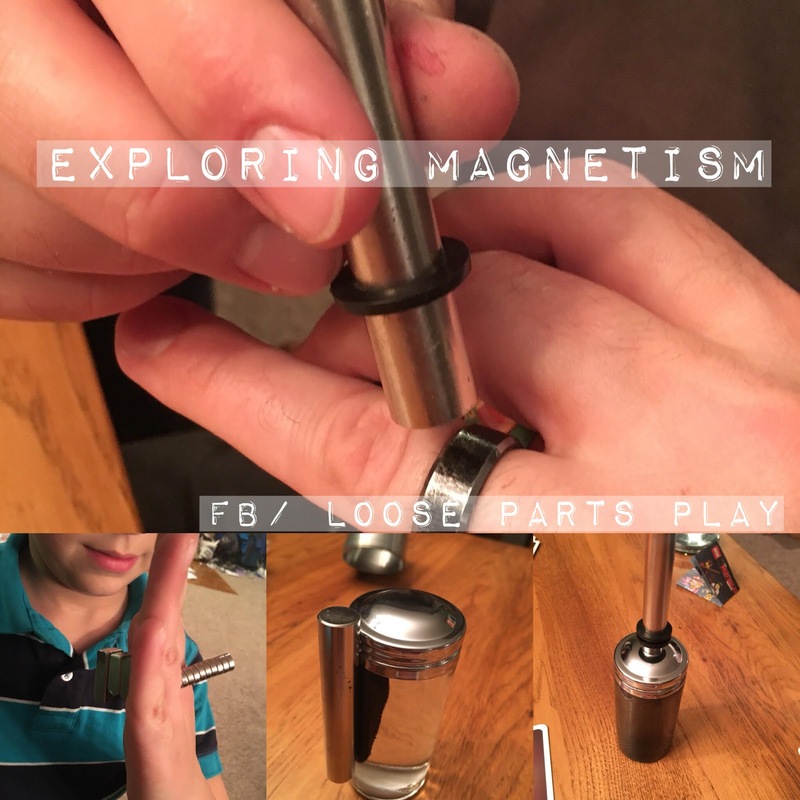 Neodymium Cylinder Magnet--These were almost too strong (almost didn't get it separated at times from other magnets); however, it was a great, easy to use magnet if we didn't involve other magnets. The shape is great. Super Strong Neodymium--full disclosure this did break; however, I think it's because we used it a much stronger magnet and didn't keep them apart which added to the issue. We still liked the pieces. I ordered more of these for gifting, but without the even stronger magnet. Durable Mini Magnets--We split these up between many people. We used several together and could pull the items in different directions. This magnetic cube looks cool! My husband would love it. The ferrofluid was really neat; however, it didn't show the big magnetic fields we might have expected from using it previously. I'm not sure if it is the fine powder we used, not strong enough magnets, etc. Still cool! We put maybe a tablespoon of iron filings in a Petri dish and added enough vegetable or mineral oil to make a thick liquid. We did add E6000 glue along the inner edge of the lid before putting it on to seal it up. It didn't always look perfect (the glue) but worked for what we needed to do. 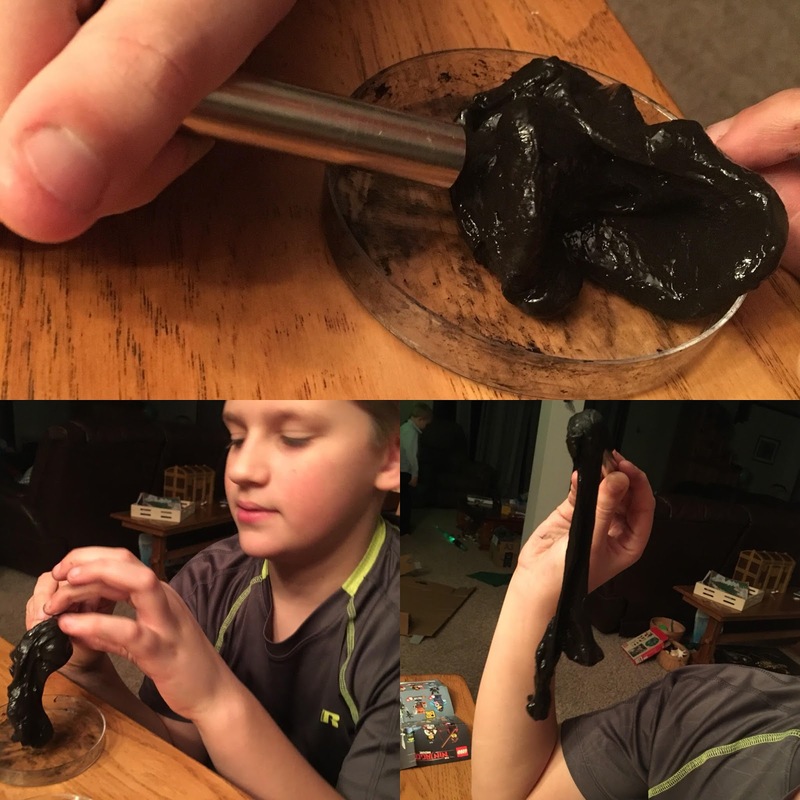 I will be the first to admit the magnetic slime was pretty messy to make and to use; however, as it dries out a bit more, there is not as much of the black goo. We used synthetic iron filings as I read that many of the real iron filings rusted within a day or so. Drawback to the synthetic is that it is used as a black pigment so has a lot of color to clean off. However, we protected our surface and could have used gloves to help keep it clean. My 11 year old really enjoyed the slime and opportunities of how it might be used. It was simple to make 1/4 cup white glue, 1/4 cup Stayflo Liquid Starch, and 2 TBSP iron filings. We got it all on Amazon and quadrupled it since were were making it for many people. We put it in Petri dishes for gifting as we have like 500! It is not quite air tight, which may not work for some. My husband started exploring other metal items he had nearby such as this small screwdriver set. 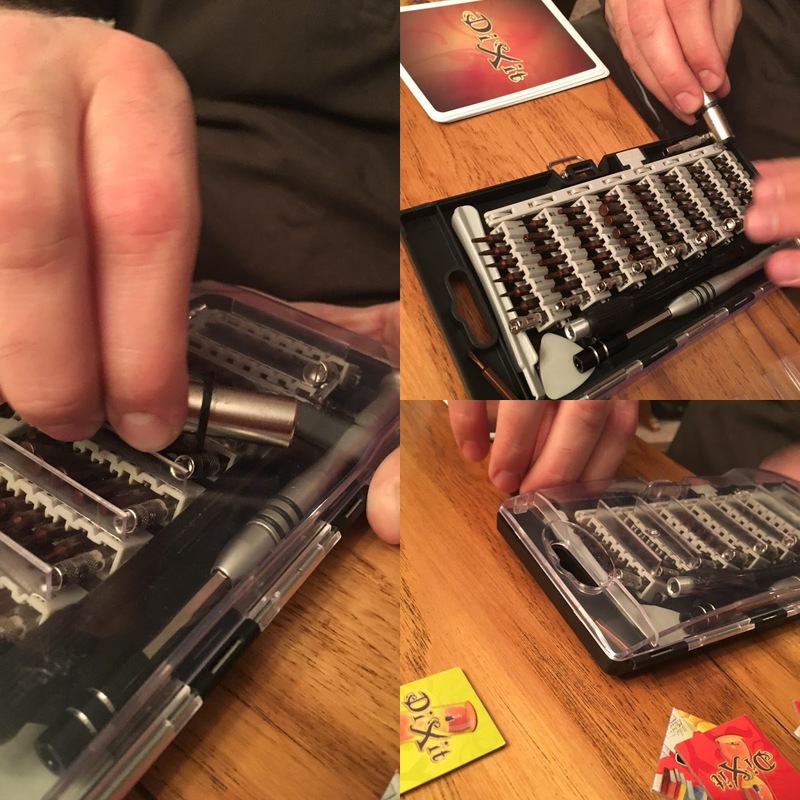 This super strong magnet could unlock his case, move the bits, and actually move the whole case. I think the gang just enjoyed exploring the magnets as well. Please note we used these with ages 5 and above, but it was mostly age 8 and above. Even with these ages there was some supervision as these powerful "rare earth" magnets can really pinch fingers and hurt little and big fingers. We found the super strong circular magnet actually could cause some of the other magnets to break, leaving sharp edges. Also, some of the magnets we used were very small and not suitable for younger ages as they could be swallowed. For younger ages, we might use a larger magnetic base or magnetic "toys" such as Magformers, Magnatiles, or Tegu blocks, which would be a safer bet. My husband found his titanium ring was not magnetic (but he probably knew that before--metal nerd). He liked the iron filings in water the best, I believe. My son realized the magnets would go through his hand! He was pretty excited about that. 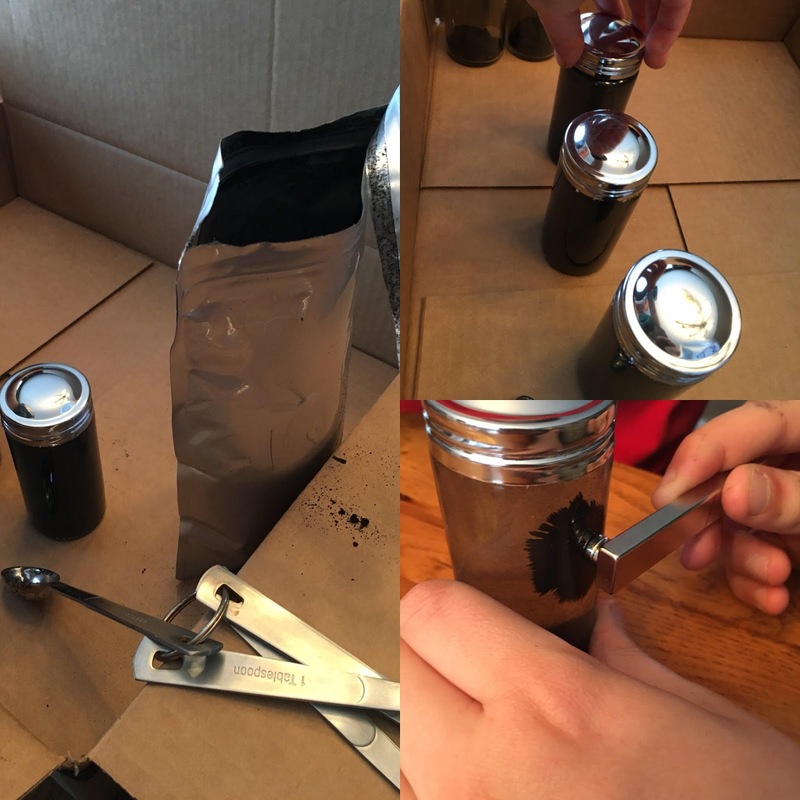 We used these simple tutorials for help making our stuff the first time. We have lots of extra iron filings after making enough of each of these for 6 people. We'll experiment even more after having tried their ways first. There are awesome videos of this stuff in action! This post contains affiliate links in case it's helpful to know what products we used. Thanks!